Zen Girl: Haz lo que Amas >< Love is a Verb. Haz lo que Amas >< Love is a Verb. "Haz lo que Amas". 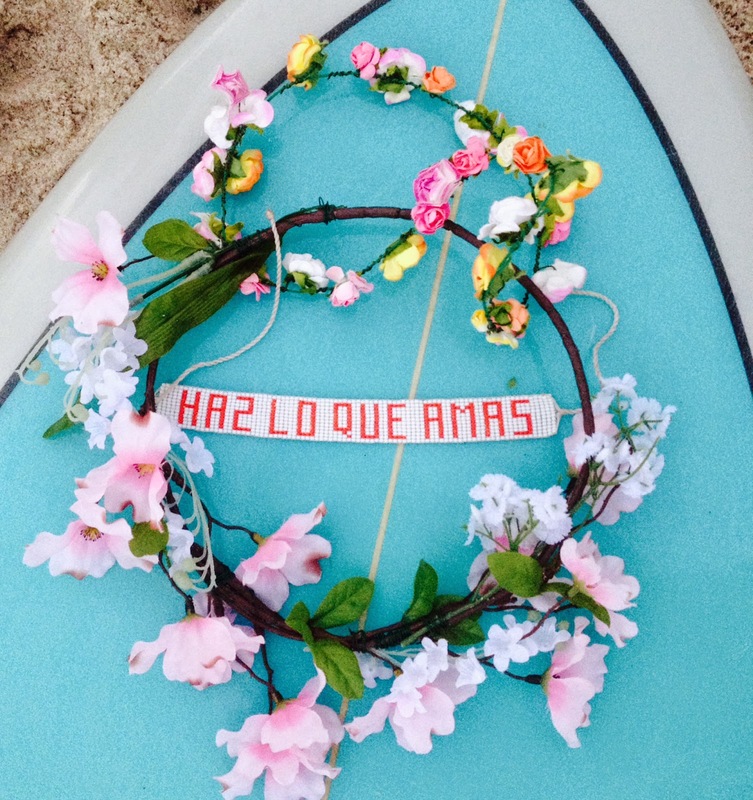 I first discovered this mantra while traveling through my favorite seaside village of Sayulita, Mexico. The town is filled with amazing little bohemian artist studios and shops like pachamama and revolucion del sueno that share this mantra on clothing, jewelry and paintings. Loosely translated, it means "do what you love". It quickly became my favorite mantra, as it shifted the idea, in my mind, of love being something active -- a verb, rather than a noun. Something we can actively work towards every single day. I'm no longer interested in "love" as a noun. As love being something to obtain, a destination to arrive at. I'm most interested in the journey. Every step along the way. Choosing LOVE in every interaction throughout the day. Committing little acts of love with each smile, each hug, each text message. And on a bigger scale, being love. Doing what I love. Without guilt, fear or regret. Letting little acts of love guide me through my daily interactions and setting the tone for my future. How can you make love more of a verb in your life?